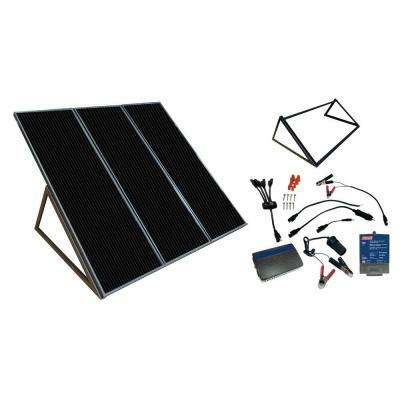 Ideal for cabins, remote and back-up power needs, 12-Volt battery charging, RVs, boats and more, the Coleman 55-Watt Solar Back-Up Kit will help run both 12-Volt and 110-Volt appliances. The amorphous solar panels are easy to install on the included metal frame and work in all daylight conditions, even on cloudy days. Constructed with a built-in blocking diode to prevent battery discharge at night, this kit comes with a durable metal mounting stand that allows for easy set-up. 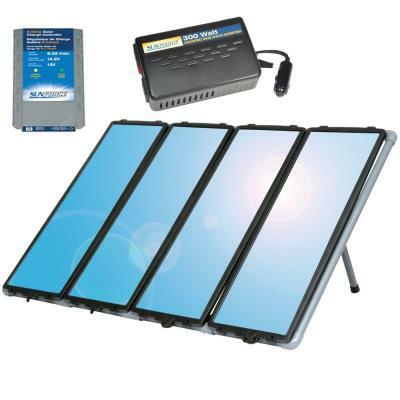 This kit is completely weatherproof and the solar panels are made with shatterproof tempered glass for added durability.